After the holidays, the house always seems to look bare and unorganized to me. After the new year I want a fresh start and cleaning and organizing really helps. I don’t know how everything gets so messy, but it drives me crazy. Closets are the worst. I guess having a door to close, hiding everything behind it makes for a disaster on the other side. 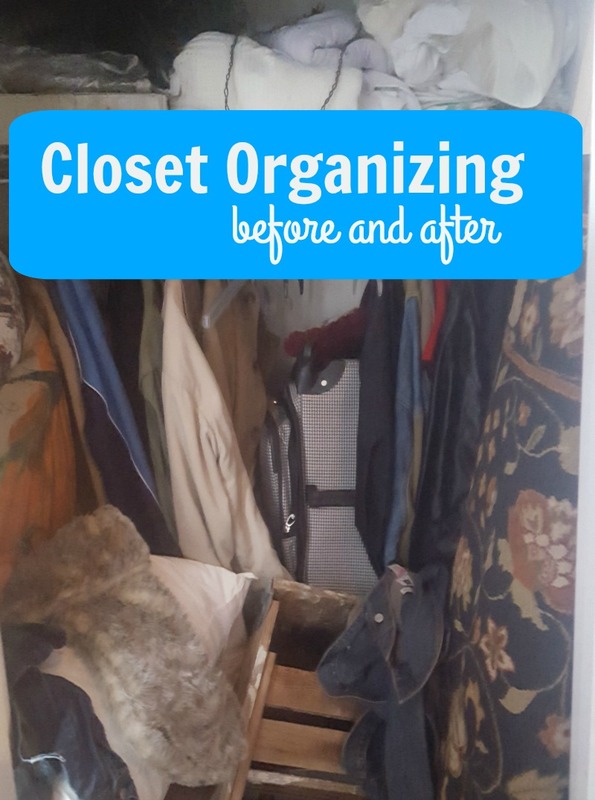 So my plan is to tackle a closet each week until they are organized and excess things are thrown away or donated. 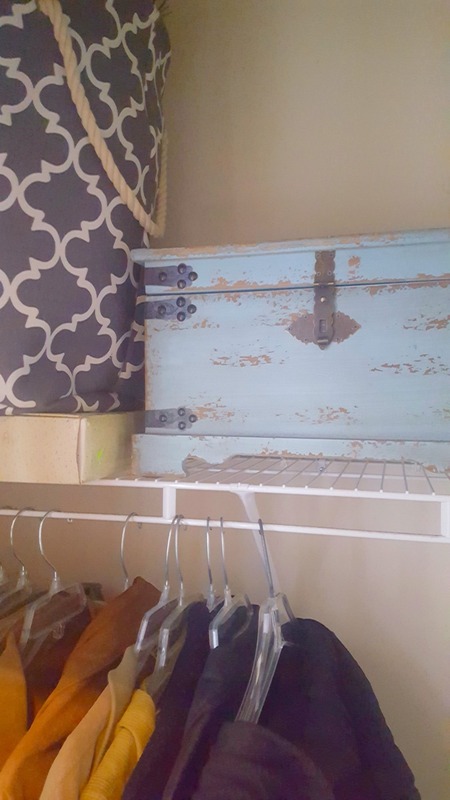 I started with my coat closet. 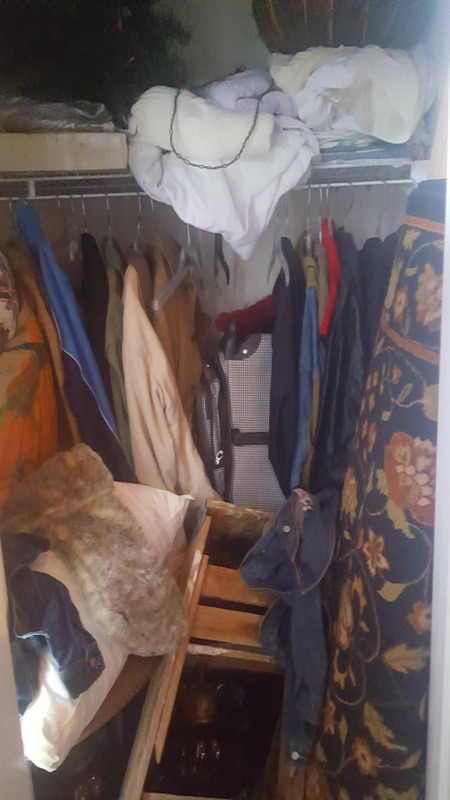 Let’s face it, when you have a large closet, it fills up with more than just coats. Ugh, look at this mess! First step was to pull everything out and discard or donate what I didn’t need (how did a Christmas stocking end up in there, anyway?) I then started a pile of things I wanted to keep. Old Time Pottery was having a sale on organizing bins so I picked up a few. I also picked up some interesting non-traditional items to use for additional storage. I started filled the bins with old pictures and clean linens. All my winter gloves and scarves never really have a place, so I found this great blue crate at Old Time Pottery and placed them all in there. I love that it is pretty and has some color. 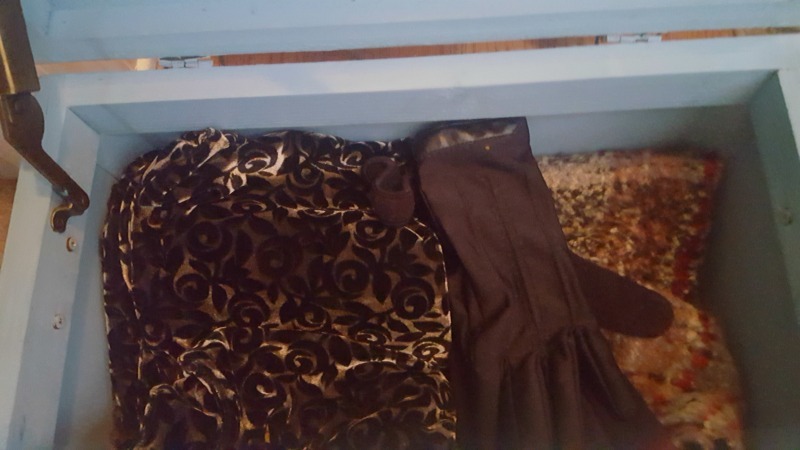 I donated several old coats, thinned out what was hanging and stacked the bins on the floor with the rest of the items. The blue crate will be placed on the top shelf. I store a small tree in my closet as well. It fits perfectly because of a tall ceiling, but it was a dilemma figuring out how to hide. 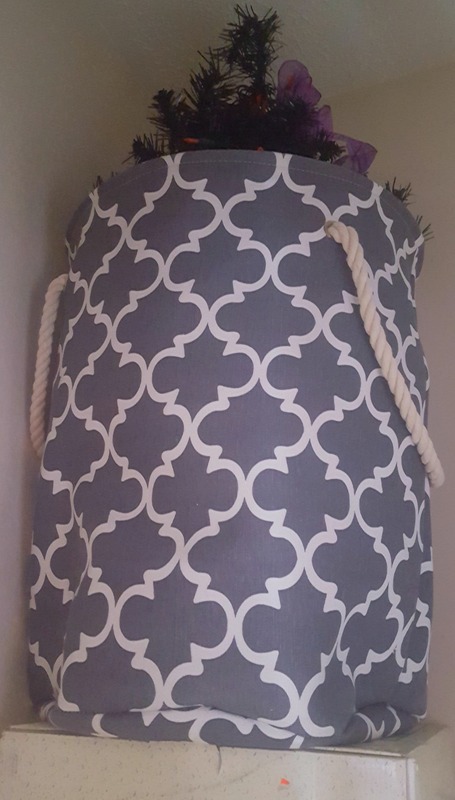 I searched for several things and found a pretty hamper to store it in. 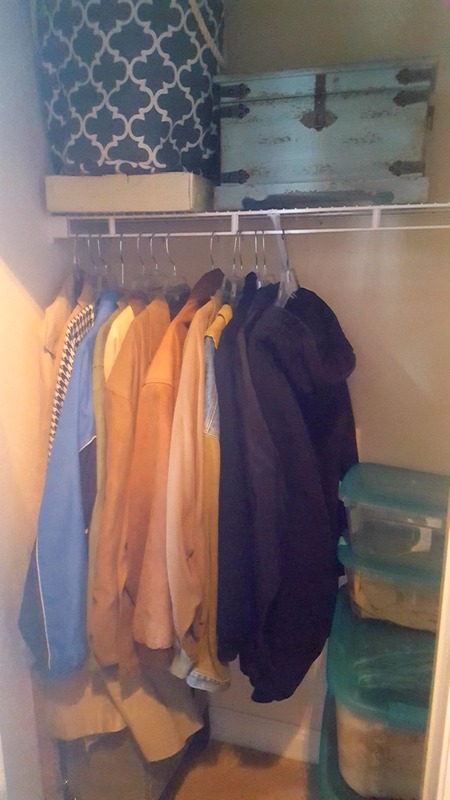 I think it gives the coat closet a really nice look and when people hang their coats in there I think it will look nice and neat. All this really didn’t take that long to do. I love all the storage I purchased at Old Time Pottery and think it is a huge improvement. One down several more to go! Gotta get to work!